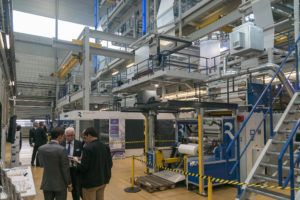 During the Interpack trade fair Reifenhäuser Blown Film invited its customers to an Open House in Troisdorf. “Our customers from the packaging industry invest in production efficiency and quality“, says Ralf Pampus, Sales Director at Reifenhäuser Blown Film. 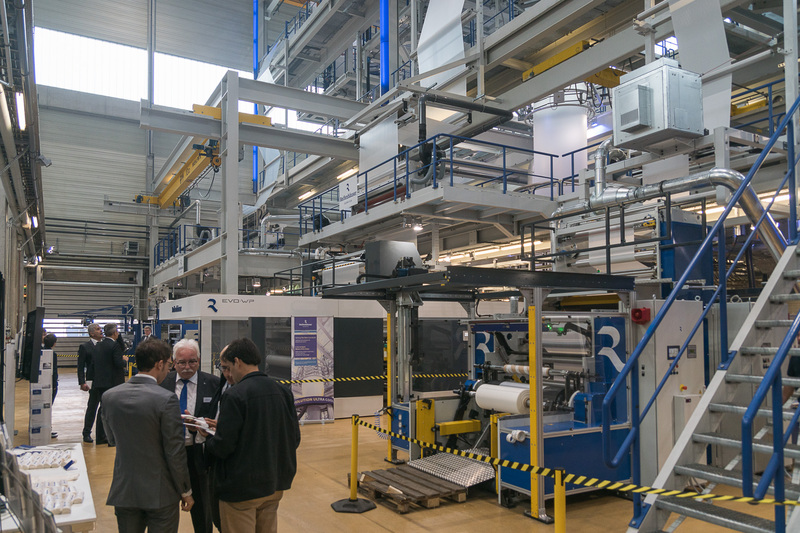 Therefore, the focus of the Reifenhäuser Open House event was on the following subjects: economical blown film technology, production efficiency, latest developments and process solutions to improve film properties and process stability. A highlight at the Open House was the EVO line generation. Visitors who were not able to get to know EVO, for example at K2016, now had the opportunity to see an EVO 5-layer line producing different biofilms using raw materials from various manufacturers. For demonstrating the EVO Ultra Stretch Reifenhäuser processed the bioplastic “GuiltfreePlastics®” from our cooperation partner United Biopolymers. This next generation starch based bioplastic may contain up to 90% renewable resources and is both 100% recycable and 100% biodegradable. The material can be stretched inline with EVO Ultra Stretch up to a ratio of 6:1. The result is better mechanical properties, maximum transparency and totally new applications opened up for the use of bioplastics in the packaging industry. Here the EVO technology for modular blown film lines for 3 to 12+ layers scores above all with significantly reduced complexity and films of the highest quality, thus “Setting The New Standard” in blown film production. 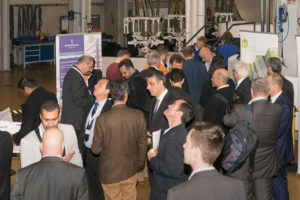 Beside the films of United Biopolymers also products of the Italian producer Novamont were shown in the Reifenhäuser Technology Center. The biomaterials of both companies are perfectly suited for the Ultra Flat Plus and Ultra Stretch technologies where the film is stretched so that it becomes extremely thin. The result is impressive: The extremely thin film features higher strength and thus better stability, and it offers a further advantage: The film producer can reduce his raw material costs due to the simple fact that less raw material is needed.